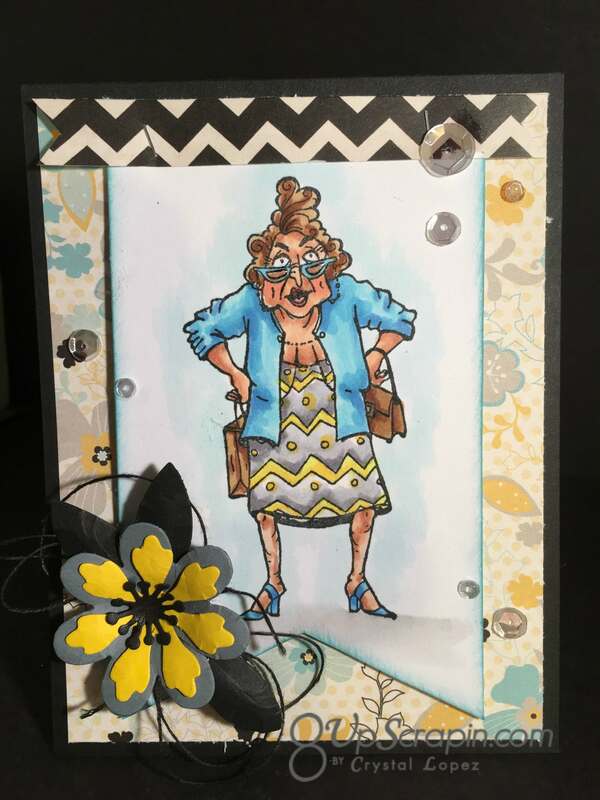 It’s Crystal and today I am back with ” Read my lips Lucille ” she is from the beloved Humorous Senior line in the I Brake for Stamps Store, be sure to click my links to check out all the great images , there are thousands of stamp images to choose from in the store and I am you will find something you want to create with. 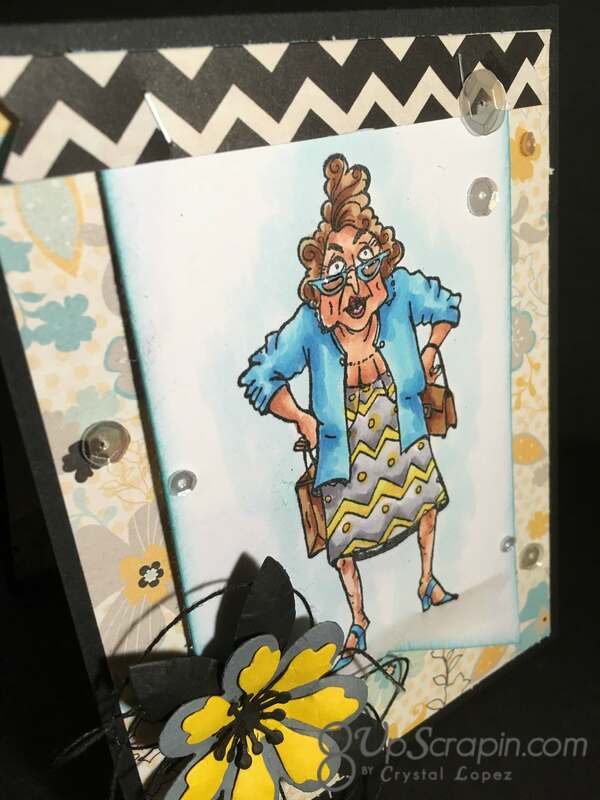 Read my Lips Lucille is a great image that can be turned into any card you may need ,Happy Birthday , Miss you , Hello ect .. 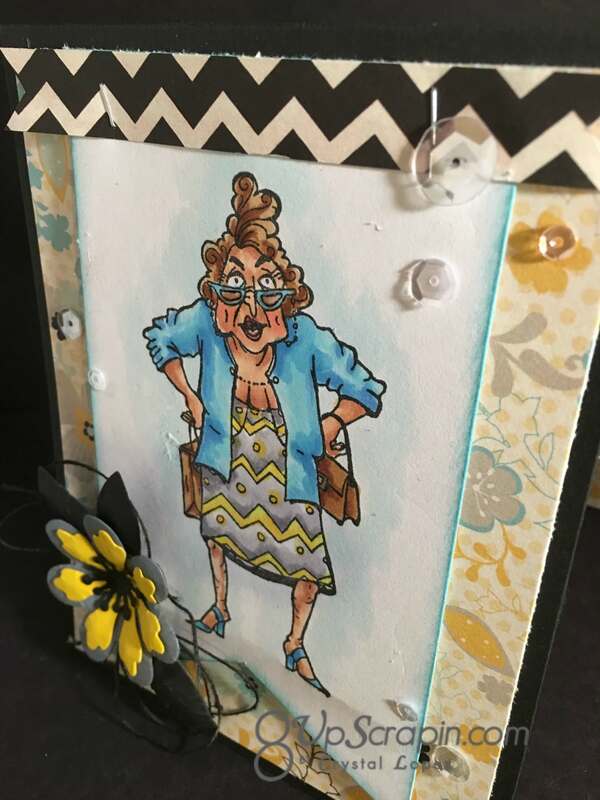 I am going to leave the sentiment off this one until I need a card and then I can add a sentiment inside and she is off to put a smile on someones face : ) It is always great to have these kinds of cards on stand by … My Image was copic colored .